My day started at a very un-day-off-time of 4:50 a.m. I had to make an airport run. That in itself was an adventure, but so as not to embarrass anyone, I will not talk about people who forget to bring their wallet along to the airport (think photo i.d.) and I will move right along with my story. I’m sure I must’ve been VERY sleepy when I arrived back home because somehow I managed to clean off and reorganize the shelves of two bookcases in the garage (cases NOT used for books, but for everything but books) – something that has literally been on the to do list for SIX YEARS! I even managed to throw away a can of 2002 bug spray that had a broken nozzle AND an empty can of weed killer. I was truly motivated. Garages aren’t my thing. So, since I accomplished something that lingered on my TO DO list for so long, I decided to reward myself by doing something that I said I wanted to do, but knew I would never get around to doing. Mowing the lawn was not it. Saturday, the 10yo and I passed an absolutely, beautiful field of flowers and I said, “I wish I could stop and take a picture.” But state police frown on that kind of thing, especially since I would have to cross the expressway, so no pictures. 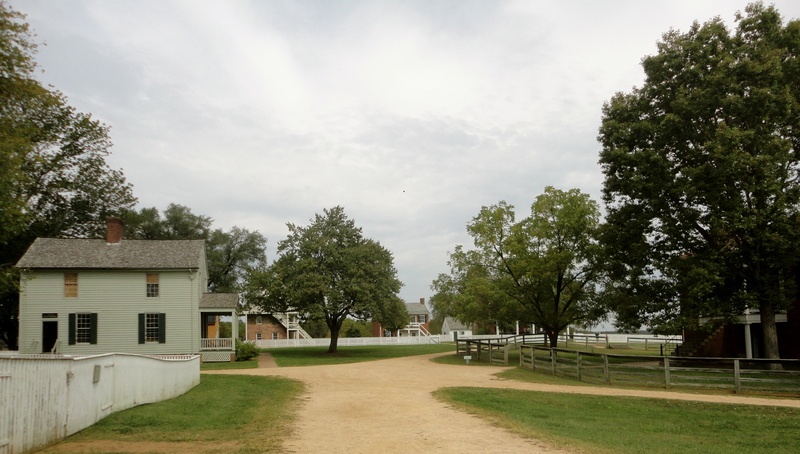 But the field wasn’t that far away – just between the first and second exit (from home) – IF I could find the field which would be the trick – because it wasn’t actually NEAR an exit. So that meant I would have to criss cross country roads on a hunt. I got my bearings on the expressway and then actually did find the field rather easily. 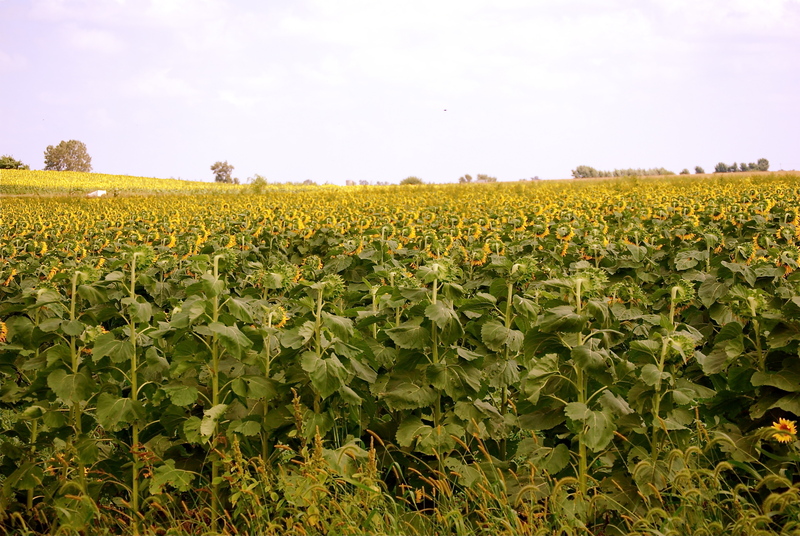 My trek was affirmed when I saw a young couple parked next to the field – taking pictures. The guy even had his tripod. I still had my telephoto lens on the camera from the zoo trip. Anyhow – it was kind of a fun break and didn’t really take that long. 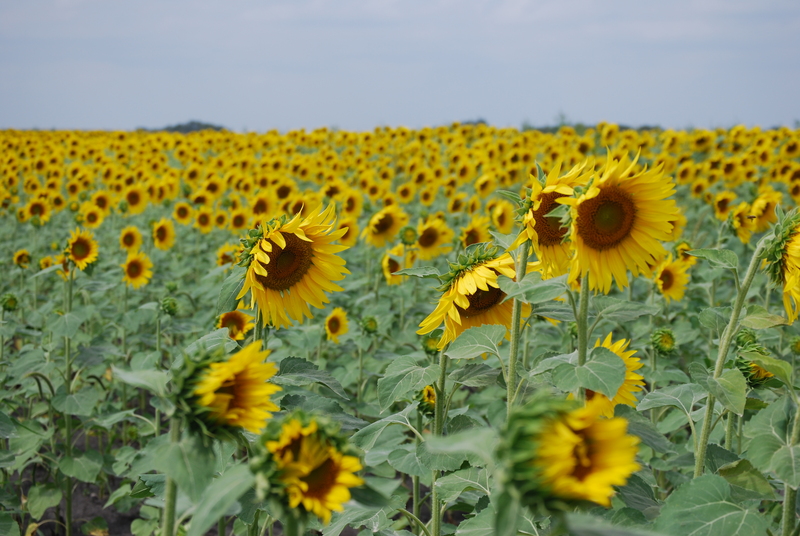 This is an example of heliotropism - where plants face toward the sun - so the field looks different depending on what time of day it is. So, I drove around to the other side of the field. Here the flowers are facing East. Then I walked into the field. 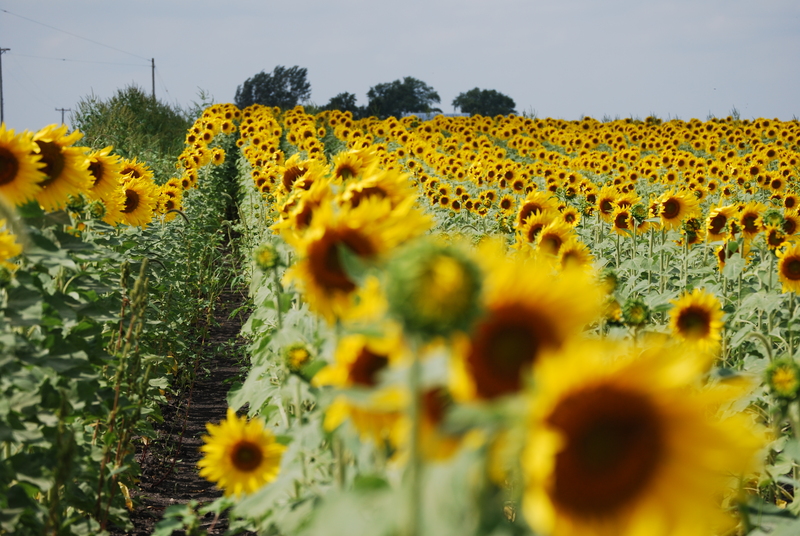 The flowers were planted in perfectly straight rows. Ok, won’t do the formula – but I’ll attempt an explanation. The florets are in a perfect spiral formation. Each learns toward the next by the golden angle (137.5 degrees). The interconnecting spirals are successive Fibonacci numbers. 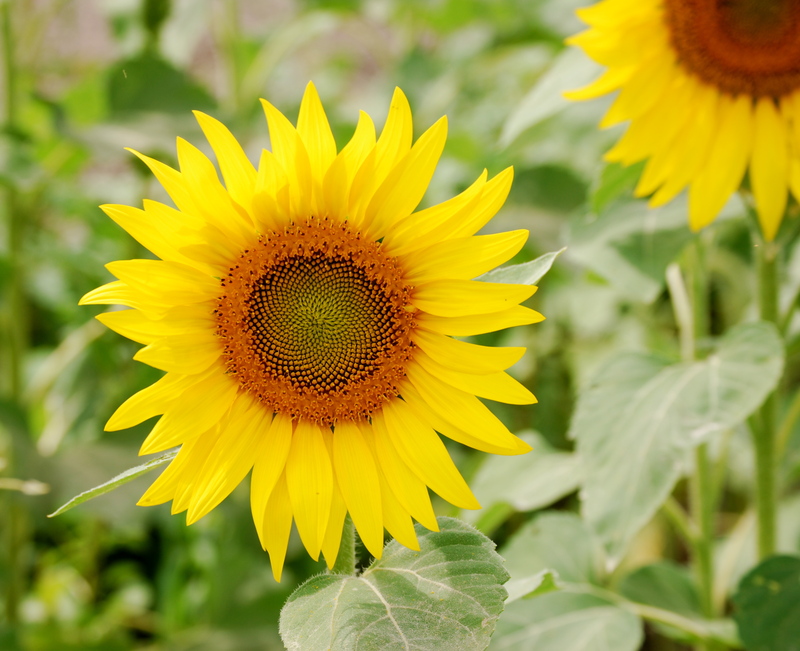 So, usually there are 34 spirals in one direction and 55 in the over (although in large sunflowers there are 89 in one direction and 144 in the other.) What this does is allow the most proficient seed packing possible in the sunflower head. If you understand the number part of this, I’m impressed. On the other hand, I am truly in awe of the design in just one flower. How can anyone say this all happened by accident? 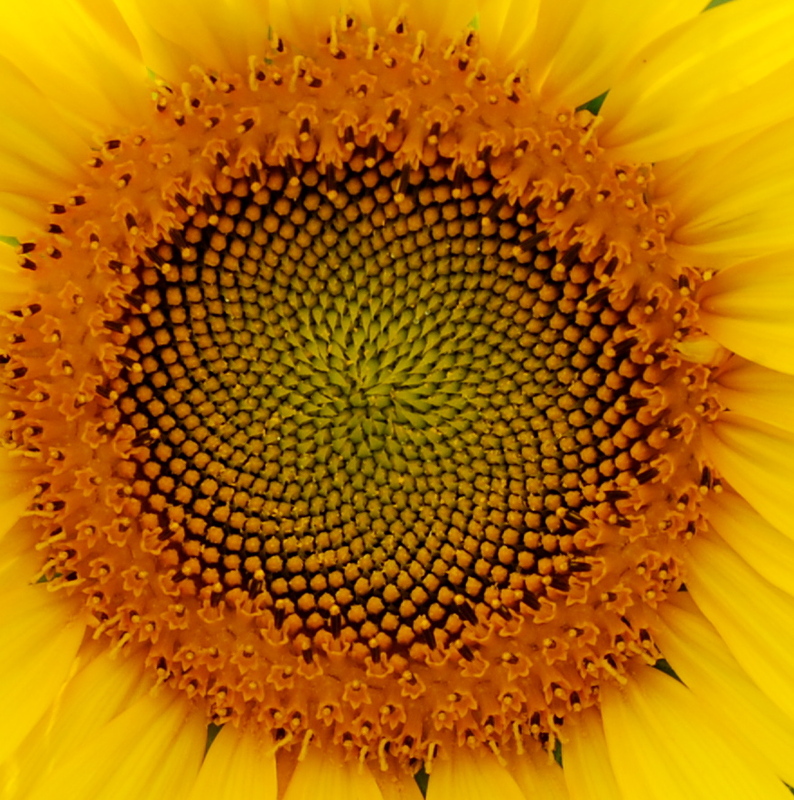 Have you ever studied the spiral pattern of a sunflower? 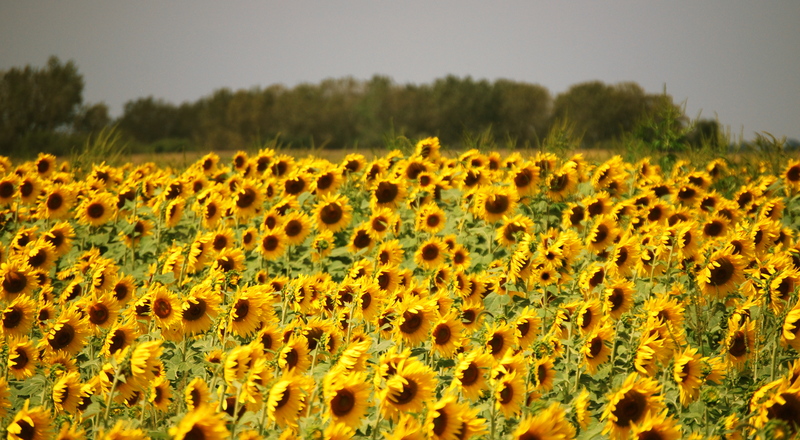 I’m sure chasing down sunflowers isn’t everyone’s idea of a fun thing to do – but you know something? I’m glad I did it. 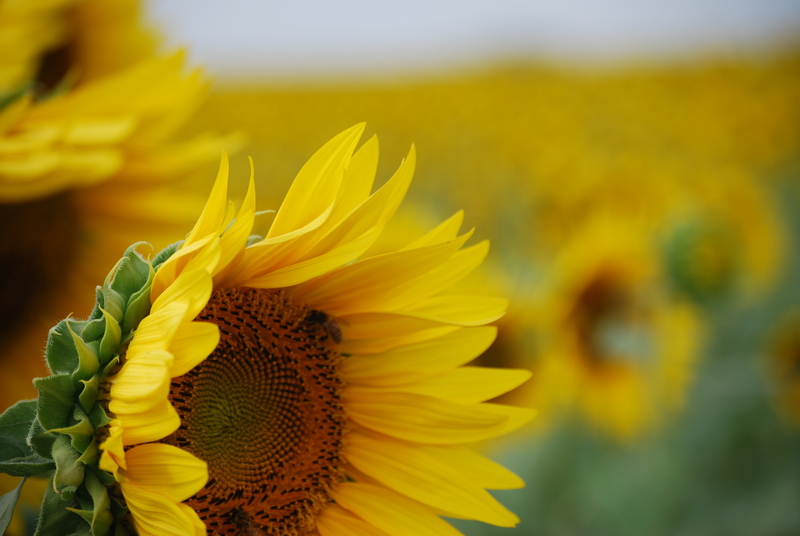 I learned a lot and wandering through a field of sunflowers on an August day was a just-right break. Psalm 96:12 - Let the fields be jubilant, and everything in them. 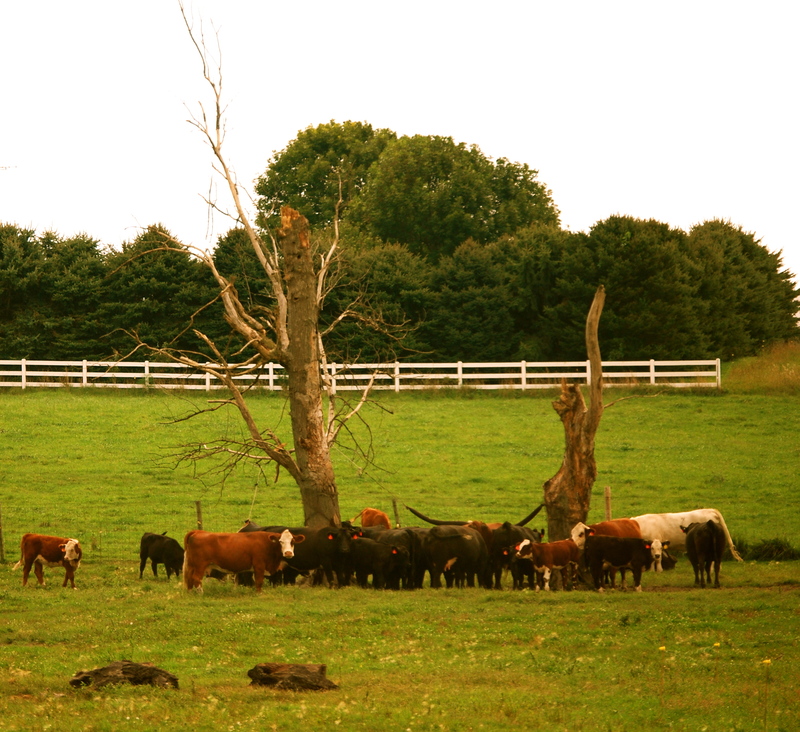 By the way, you think someone should tell these cows, they’re not getting a whole lot of shade from those trees?